We have never seen so many Clownfish together before. Even with our experience scuba diving in amazing tropical coral gardens. In the wild and in other fish tanks; there tends to be a pair of Clown fish every few meters or so. Each pair have their own Anemone coral which they use as their family base. The fish guard the anemone, which can have their eggs inside. If you have ever scuba dived or snorkeled with Clownfish, you most likely have had fun putting your fingers close to the anemone. The Clown fish are fearless and chase you away without hesitation. Because they are so cute looking, it makes for a very entertaining and amusing experience. Multi Clownfish video is a great family TV screensaver. Especially if you have already upgraded to a big UHD TV screen. The 4K MP4 version is 20 minutes long and designed to be used as a background video on big TV screens, even ones 65 inches and above in size. 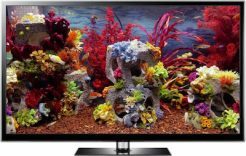 MP4 files will work on all Samsung TVs and for other brands you will need to check whether your specific model plays MP4s. 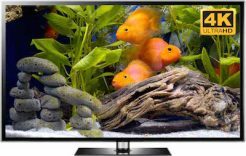 If not our blog (link below) discusses very cheap media streaming and media player options, to help make your UHD TV into a stunning Nemo virtual aquarium. 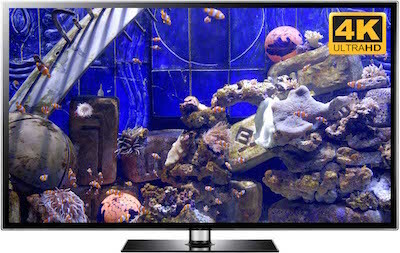 It will take years for everyone to jump on board the UHD 4K revolution. Therefore we are also down-scaling our videos to 1080p Full HD resolution. This packs additional detail into the video, making it superior to videos filmed in Full HD. This version will also look great on big screens. We also offer computer screensaver versions of this Clownfish fish tank. These loop automatically every 3 minutes. This is to save on file size so that we don’t hog computer resources. The screensaver is available in 4K or Full HD. It is also available for Windows PCs and laptops, or Apple Mac Macbooks and iMacs. The 4K screensaver should look particularly impressive on the new iMac screens, which have a higher range of colors to really appreciate every shade of color and extra details. Older computers may have trouble playing the videos and screensavers smoothly in 4K, but the screensavers do tend to play much more smoothly on computers.